It’s spring! 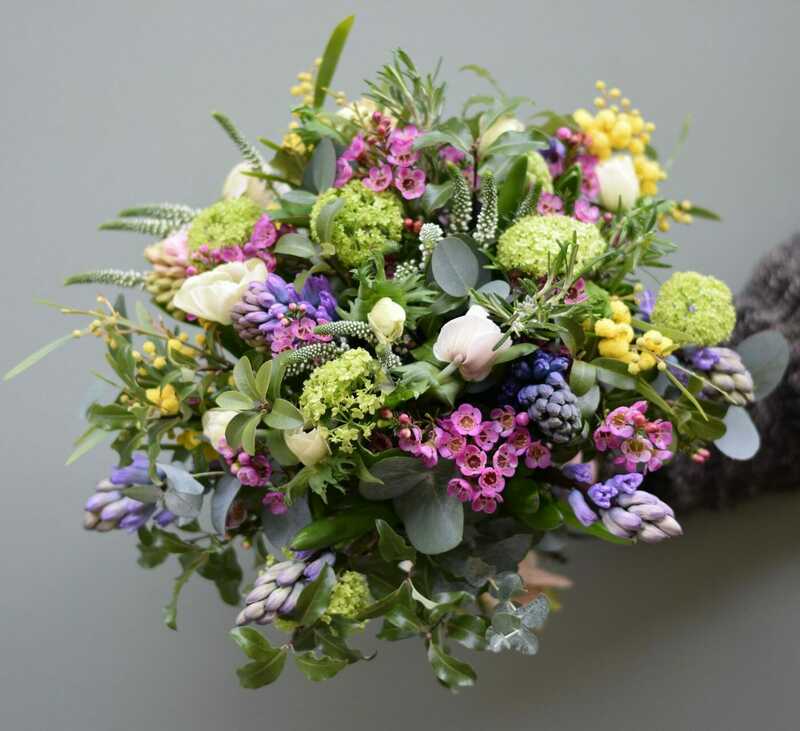 Here at Kensington Flowers we are looking forward to the new blooms of 2019. 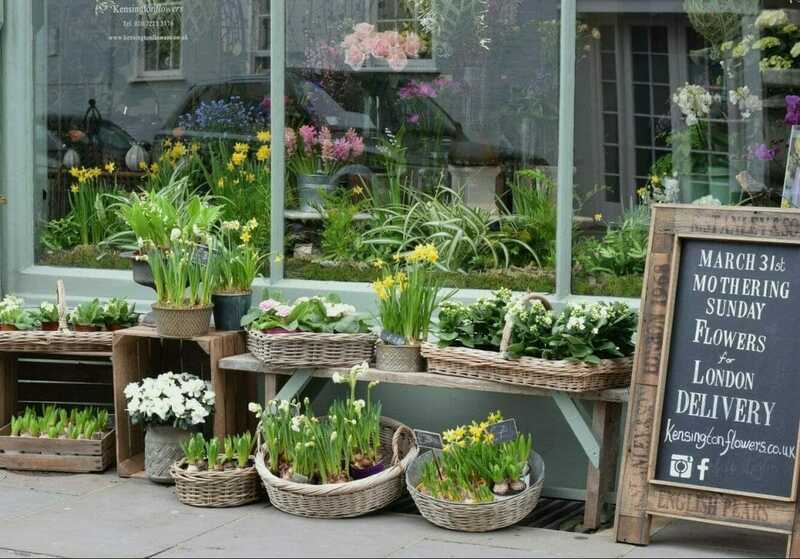 Coming into the shop in the next few months will be the best of the English spring flowers – home-grown tulips, jewel-coloured anemones, sweet Cornish narcissus daffodils and scented hyacinths. As we re-learn to appreciate English growers (and to care for the environment by reducing air-miles), we are especially glad to showcase these flowers. For growing plants, this is the season for the pretty primula, primrose, growing hyacinths and the various daffodils. 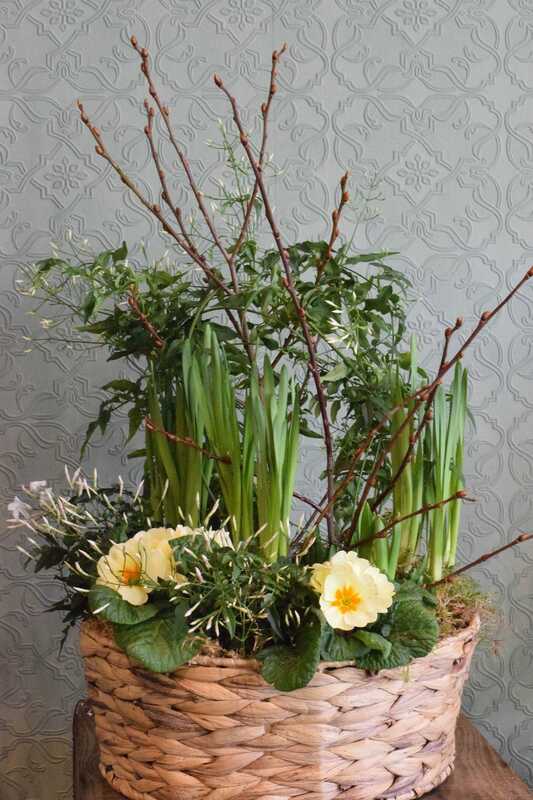 We will have pre-planted pots and baskets in the shop and and we can plant to order with your own choices. If you already have pots or bowls which you would like us to plant, please do bring them in. This season we also look forward to Mother’s Day on 31st March, for which flowers are always appropriate. March is also the month of Norooz, or Persian New Year, which is traditionally celebrated with hyacinths (and goldfish in bowls on the table for the true traditionalists). 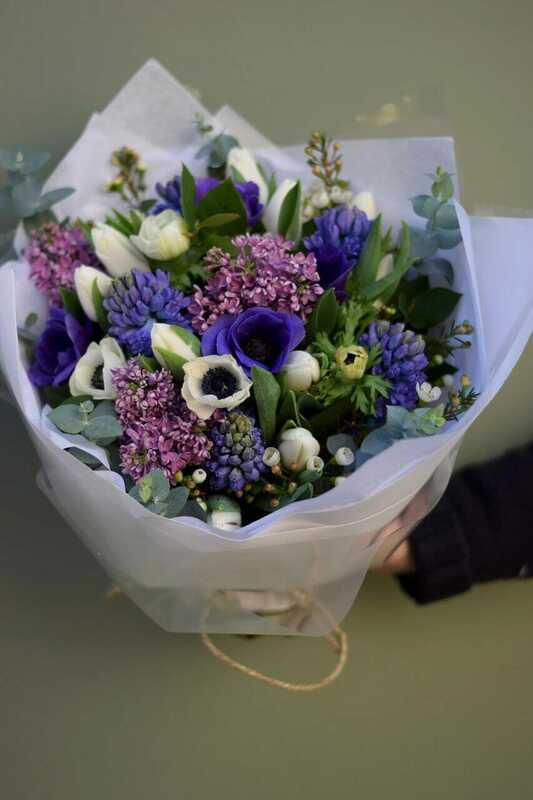 Of course, we will have roses and beautiful Spring flowers but, if you would like to give your loved one something different this year we suggest the vibrant pinks and purples of anemones and orange tulips or an elegant potted Lily of the Valley. Please see the Mother’s Day section below for more details on our favourite gift ideas (including cakes by delivery!). We can make these in the traditional Spring flowers & colours, including soft pinks, yellows and whites, with the options of adding pops of purple or blue. 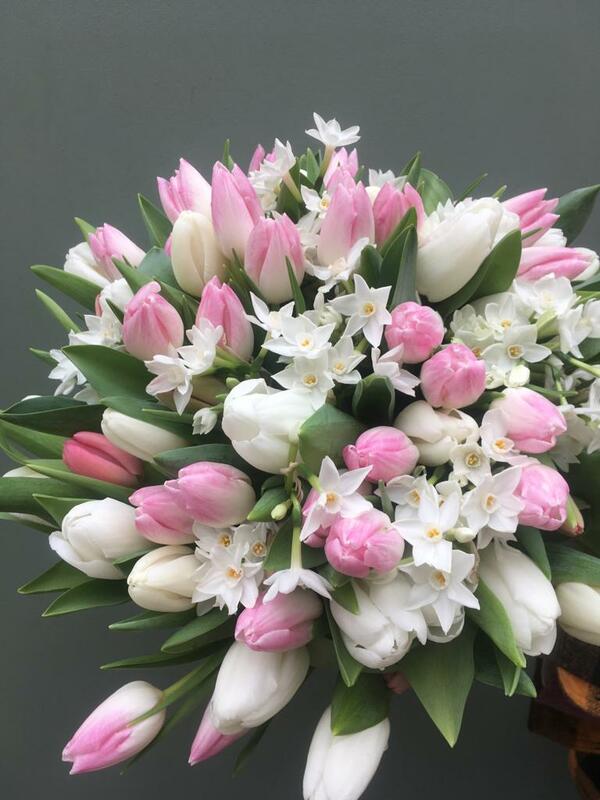 We particularly enjoy tulips ranging from bright pink to soft peach and white, hyacinths in pinks, blues or whites and the lovely yellows and scent of narcissi. Instead of a single bunch, we offer flower subscriptions. We will deliver flowers to your mother, friend or relative over a period of days, weeks or months. A lovely gift that will keep on giving! We also offer gift vouchers, so that flower-lovers may come in and have the fun of choosing for themselves. A special sweet treat to spoil someone you love. We have a range of myBaker cakes, mini cakes and macarons, delivered with a gorgeous bouquet of flowers. myBaker cakes are available in a range of different sizes and flavours. Our favourites include vanilla & raspberry cake, vegan chocolate cake, honey & lavender macarons and the lemon & poppyseed mini cakes. 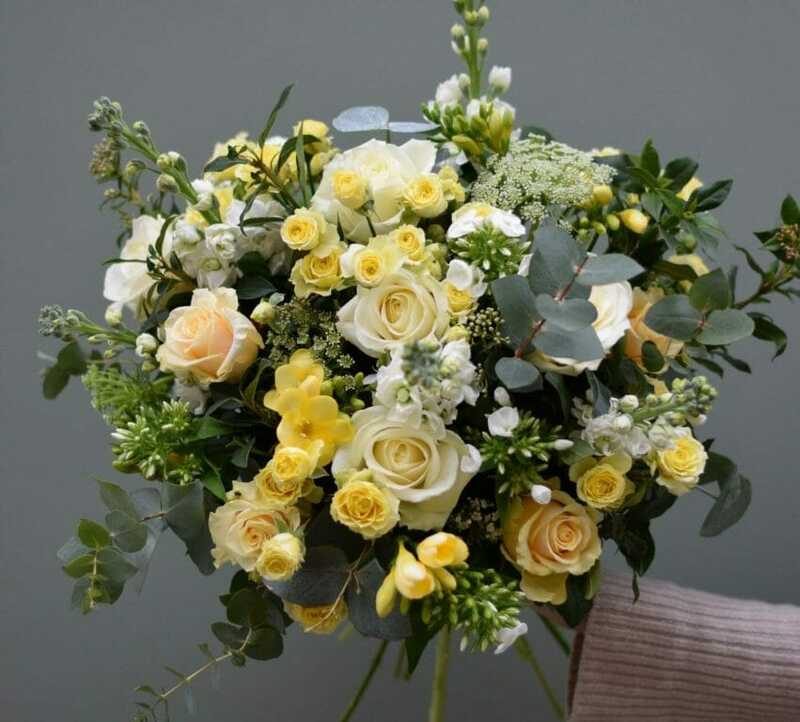 We have collaborated with our friends at Launceston Place to offer delivery of flowers to your table when you make a booking at the restaurant over the Mother’s Day weekend. We are offering 10% discount on flowers & plants, and the offer will be valid for the weekend of the 30th and 31st of March. Please use discount code MDLP19 when placing your order online on our website or over the phone. Please note the offer is not valid for our flowers & cake products, flowers & gift boxes or our gift cards and vouchers. The Daffodil (or Cennin Pedr in Welsh) is the national flower of Wales and they are out for St David’s day on 1st March. Their fresh white and yellow faces are the signature of spring and many come with a delicate scent as well as the fresh smell of the leaves and stalks. It is unsurprising that they symbolise rebirth and new beginnings. In the traditional language of flowers, daffodils are a faithful flower – they represent loyalty, friendship, chivalry and modesty. Daffodils are easy to grow and replant inside or outside. 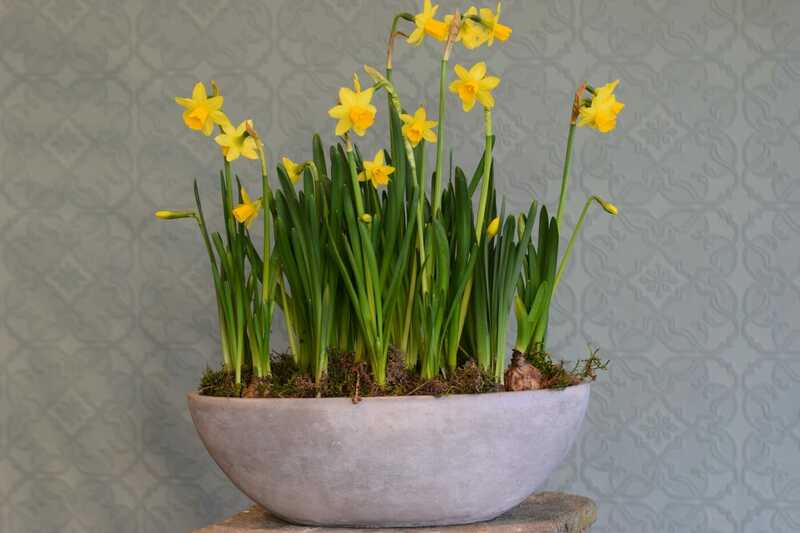 Growing in the shop we will have the minuscule, bright yellow Tete-a-Tete, the tiny all-white Paperwhite and the taller, creamy Bridal Crown as well as bunches of cut narcissus in yellow and white. We hope to see you soon in the shop in Victoria Grove and we wish you all the best for 2019.